Made from stainless steel with a mirror finish, these Russell Hobbs saucepans are ideal as a starter set or for refreshing your cookware. 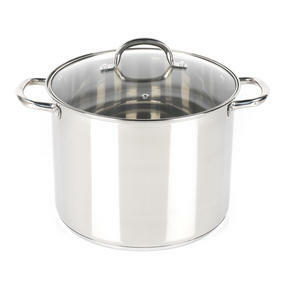 A set of four, consisting of 16, 18 and 20 cm saucepans, plus a 28 cm stock pot, they each have a matching glass lid with a steam vent. 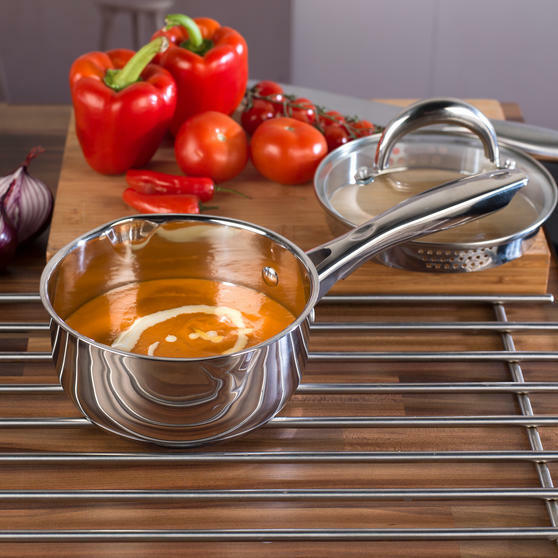 The pans have strong steel handles that are easy to grip making the lightweight pans easy to carry and manoeuvre around the kitchen. 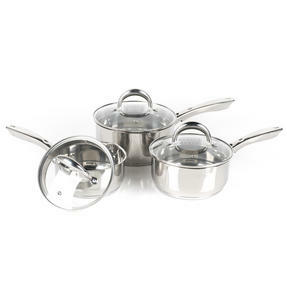 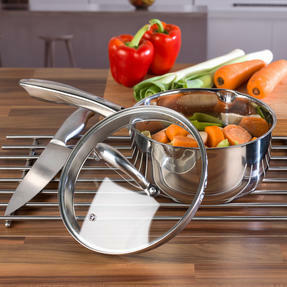 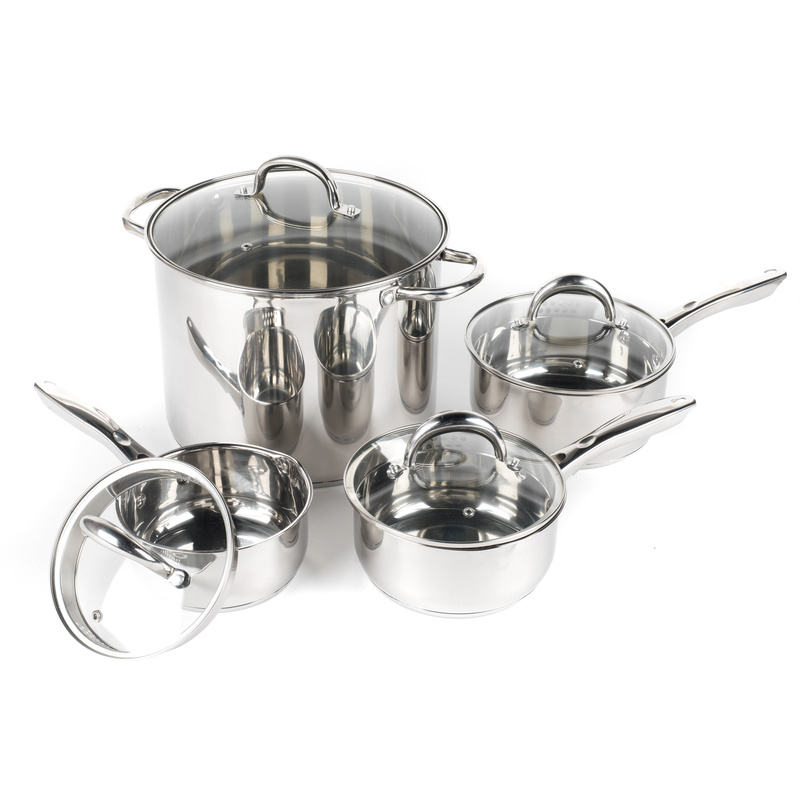 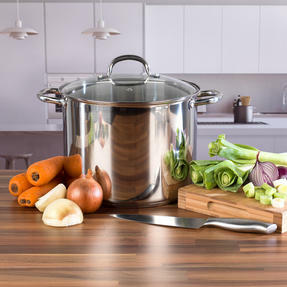 With a high quality shine, this pan set will be the perfect addition to your kitchen. 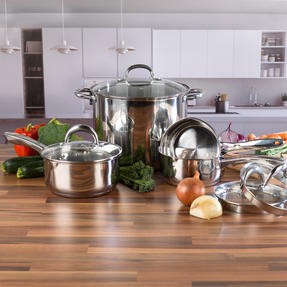 Made by Russell Hobbs, this saucepan and stock pot set is lightweight and easy to carry, but will sit securely on the hob for safe cooking. Crafted from high quality stainless steel, each pan is complete with a mirror finish and a glass lid with steam vent for easy cooking. From Russell Hobbs, this set includes 16, 18 and 20 cm saucepans with matching lids and a 28 cm stock pot. 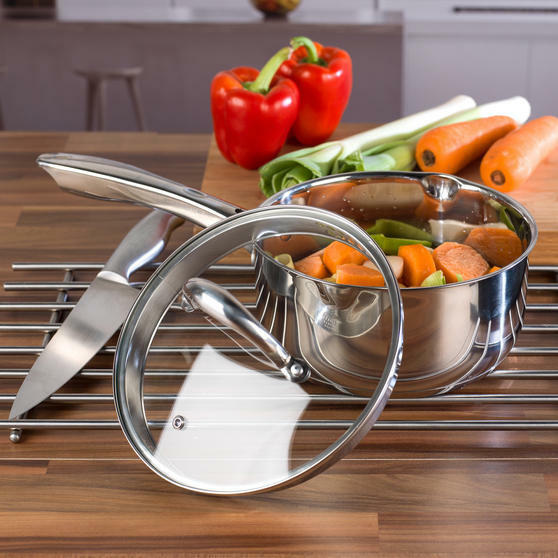 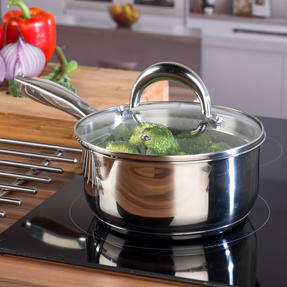 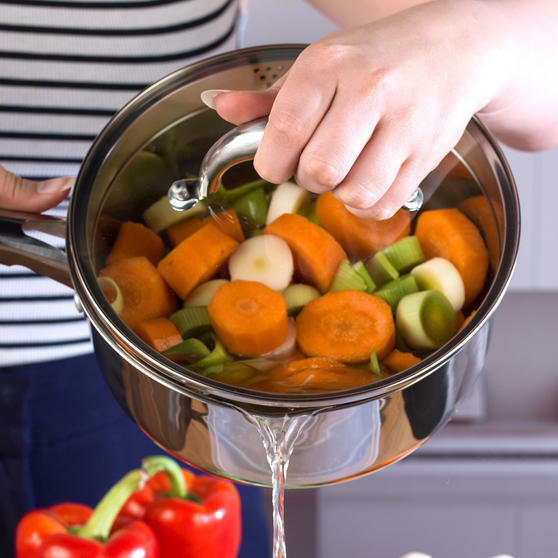 These pans are easy to handle, perfect for cooking rice, veg or pasta and they are suitable for all hob types, including induction. This high quality cookware set is smart, long lasting and guaranteed to look great in any kitchen to enhance your cooking experience.